“Baghdad celebrates World Peace Day” a title that reported by the Daily Mail. 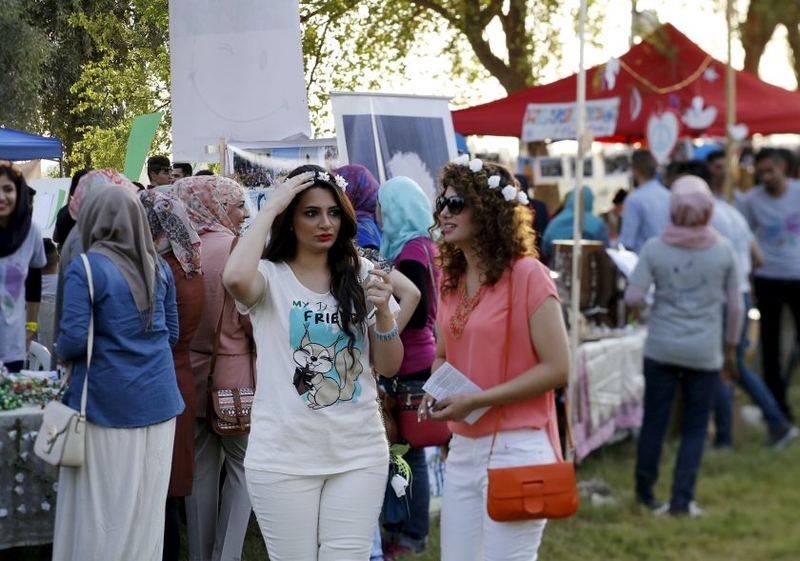 Under the heading “Baghdad celebrates World Peace Day” the Daily Mail has reported filmed news that cover the event of Baghdad City of Peace Carnival the fifth in its issue of 22 September 2015. “An Iraqi painter is drawing with hands imprints during the Carnival of World Peace Day in Baghdad 22 September, 2015”. ” A young man is drawing with spray as a part of the celebration of World Peace Day in Baghdad 22 September, 2015″. Two out of seven images has entitled “An Iraqi woman is carving her hand with traditional Henna (dye) during the celebrations of the World Peace Day in Baghdad 22 September, 2015”. Two images have also entitled with “Women attending a carnival that celebrates the World Peace day in Baghdad 22 September, 2015”. This article is reported also on Malay Mail Online website. It is worth noting that the carnival had met up with a large fans presence. In addition to that, local and international mass media via TV, newspapers and news websites have made coverage for this event, too. All images are reserved for Reuters.